Creating a checklist allows you to make sure everything gets done before a new starter joins. Head to the relevant person's profile. Select 'Checklists' in the tab menu. 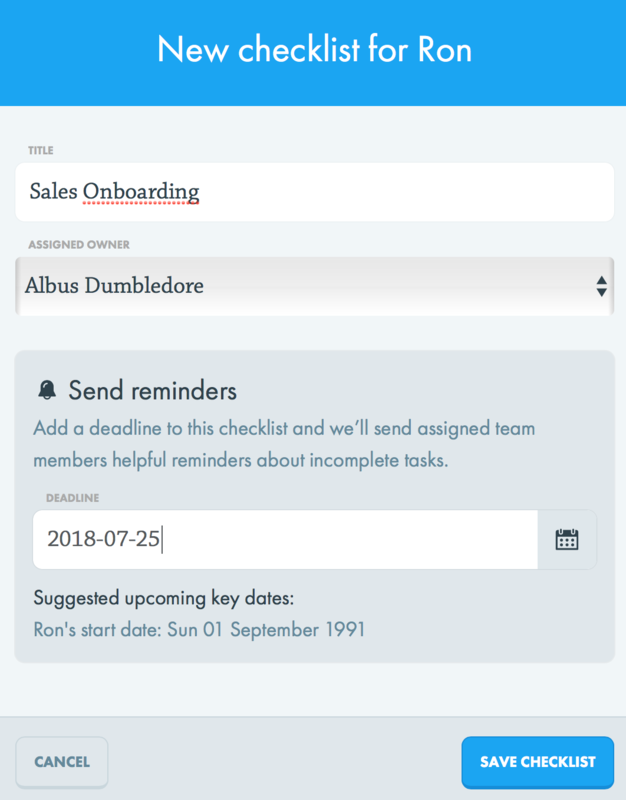 Give the checklist a Title eg 'Sales Onboarding'. Select an owner for the checklist and set a deadline. Create the tasks and select owners.